Ladies..I have some pretty big news...I have finally found a new favourite base and it only took a couple of weeks of this being in my possession for it to land that title. 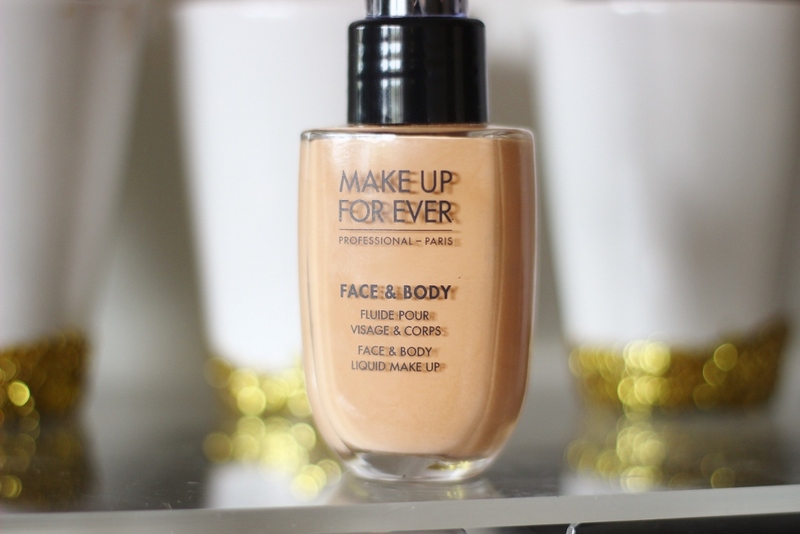 When MUFE launched in Debenhams I was incredibly excited, because I had only heard good things about the professional brand. 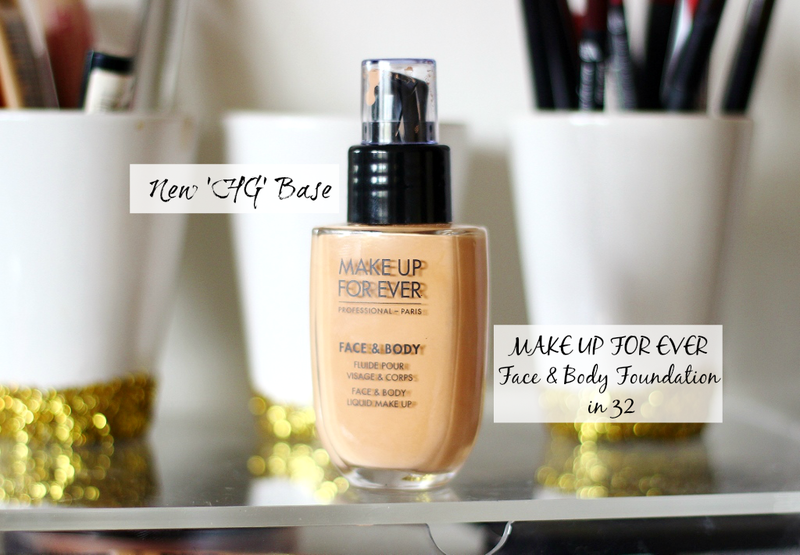 My previous favourite base, the MAC F&B was no longer an option to purchase, since boycotting Estee Lauder more about that here if you’re interested. I had heard about the MUFE version of course but it was so difficult to find I just decided to look elsewhere for an alternative. I came close with the Bareminerals Bare Skin Foundation (review) but it just wasn’t THE ONE and of course the search continued. Recently one of my favourite YouTubers Kathleen Lights did a foundations video and I’m sure this is the one that came out top of her list so I leaped at my chance to purchase this as soon as I could and I’m now ready to give you the detailed review! 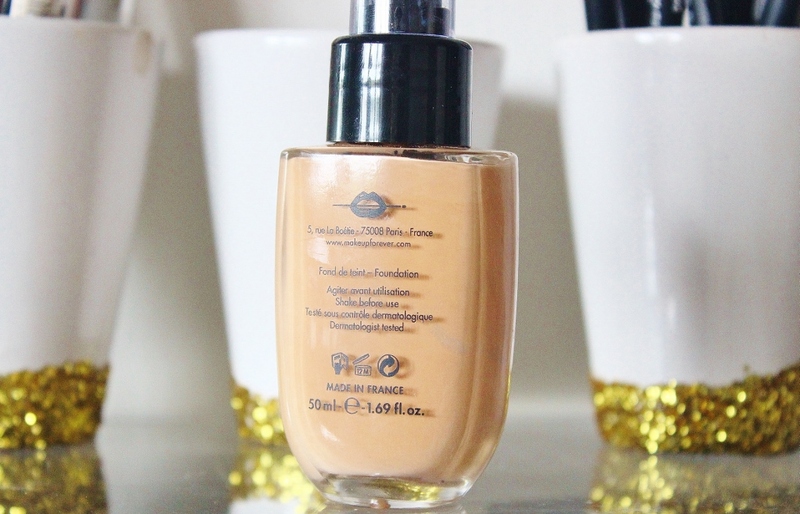 The foundation is packaged in a cute little glass bottle, which isn’t ideal for travelling but it is sturdy and suits the formula of the base well, as it needs to be shaken up before use. The pump is really useful, with one distributing enough to provide a light coverage all over the face. I normally use a pump and a half, the extra adding more coverage to areas with with greater discolouration. I much prefer this packaging to MAC’s version - the pump makes it easy to distribute enough without wasting any and it looks much sleeker too. The simple font is clear to read, with instructions on the back, the amount of foundation in the bottle and the shelf-life too. The only slight complaint I have with this is that the shade number which is written at the bottom has already scratched off, not a biggie but still. 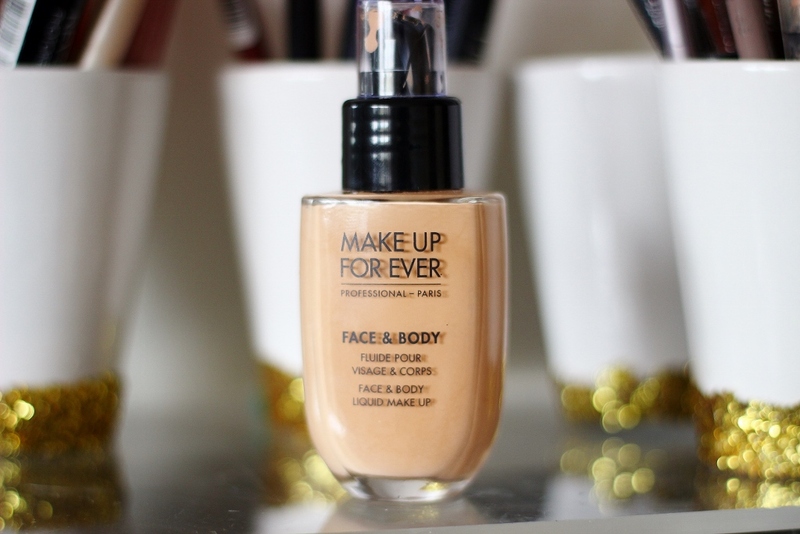 The face and body foundation has a gel-like formula which requires a lot of shaking up to use to it’s full ability. I would describe the formula as a cross between a gel and a liquid and it is water-proof which makes it fantastic longevity wise because my skin is still glowing in the evening the same way it was in the morning! The problem I find with a lot of dewy bases are that they just don’t stay put, which makes this base really stand out to me because it’s one I can count on for long days, hot days, beach days, pretty much whatever-ya-name-it-days. Water-proof yes but it can transfer a little towards the end of the day, especially around the mouth (eating/drinking) if not set at all. Bottom line though is that the MUFE face and body is very reliable and stays on better than any other base with a similar finish. The other day I was already wearing this from 9am till 6pm and I then had a Lush event to go to straight after work. Now 9 hours laters I expected to look in the mirror and find most of my base faded, but much to my surprise at least 85% was still in place - YAAAS. All I did was apply a little bit of the Bourjois healthy balance powder and it honestly made my face look fresh and complete all over again, so if you do need to top up, it allows you to do so with ease (and without caking!). The finish is described on their site as satin, but to me its a mixture of satin and dewy which I LOVE. It makes the skin look so radiant and non-foundationish whilst still evening out the skintone, covering over redness and adding a beautiful golden glow. This is the ultimate ‘no-makeup makeup’ kinda base which still gives you beautiful looking skin. 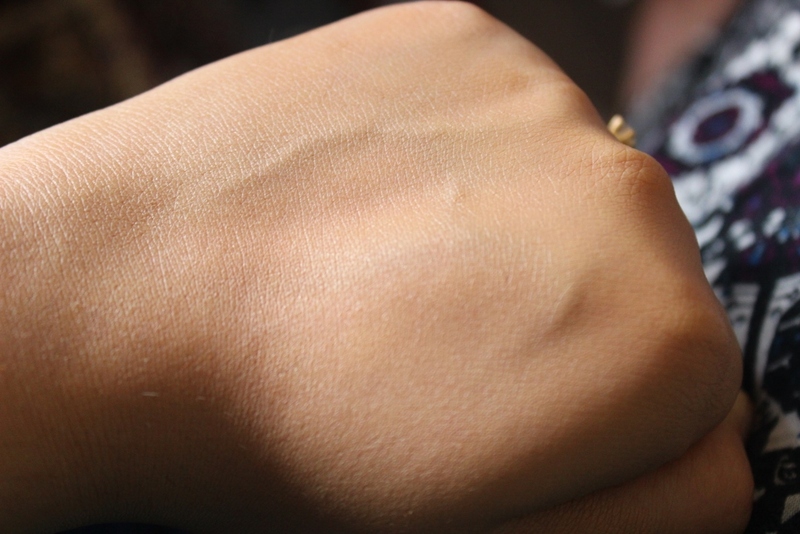 Will this cover scars and blemishes perfectly? No it won’t, but personally when I do have blemishes I hate wearing a heavy foundation over them, I want my skin to be able to breathe and heal as much as possible, so I always opt for a base which gives a good medium coverage and then conceal over the ‘problem areas’. The MAC F&B leaves a tacky finish to the skin which was kinda irritating and you had to set it in place. The MUFE F&B doesn’t as long as you let your moisturiser and whatnot sink in properly first, there’s a glow but nothing sticky or irritating - so if you want a full on glowy look you can skip powder. I tend to set around my nose (after concealer) and around my mouth, rather than all over because I love the finish! After giving it a good shake, I pump 1 and a half on the back of my hand and my favourite way to apply this is using my fingers! I love sponges and brushes but for the consistency of this kinda base, I find the warmth of my fingers work really well to get optimum coverage and it doesn’t take too long either. On days when I’m in a massive rush though, I’ll use the Real Techniques Buffing Brush which works very well and of course is quicker than using the fingers. I did try this with the beautyblender for the purpose of this review and it was kinda meh, it gave me a very light coverage so I wouldn’t use it again to blend this foundation out. When I took the bottle out of the packaging my face was literally ‘D:’ because it looked a LOT darker than I had imagined and quite orange/beige. However when this is blended into the skin, some bizarre magical thing happens and it actually adapts really really well to your skintone! I would say this is a good match for NC30 and it’s one of the closest matches to my own skintone, despite the fact that it looks really orange when you first start blending (as you can see above!). When blended in it does look lighter and that pretty scary orange blob up there is no longer the case. I don't know how they did it but I'm not complaining! The shade range of the MUFE line is really confusing to work out, but the formula of the face and body means everyone will probably be able to find one which will work well for them - as it does adapt beautifully. Just don't be put off by how it looks above or in the bottle, that's not an accurate representation of the colour. As it is quite different to your normal foundation, I thought I’d add a little bit of advise if you do end up purchasing this. As the formula is 80% water you need to make sure your moisturiser underneath is also water based - if you opt for an oil based one the foundation won’t sit well. Also whatever you’re wearing underneath (moisturiser, primer, SPF etc) try to make sure it has really sunken into the skin, so the texture of the face and body isn’t changed. It doesn't contain SPF so it looks good in flash photography, however when wearing it to a event I do like to add powder to tone it down a little as it can make your face appear sort of shiny with a strong flash. I think you’ll love this too if you’re a fan of natural/glowy looking skin which lasts really well without the need for powder or retouching. With one layer it honestly can look like you’re not wearing a base at all, however it’s still buildable to a medium coverage. 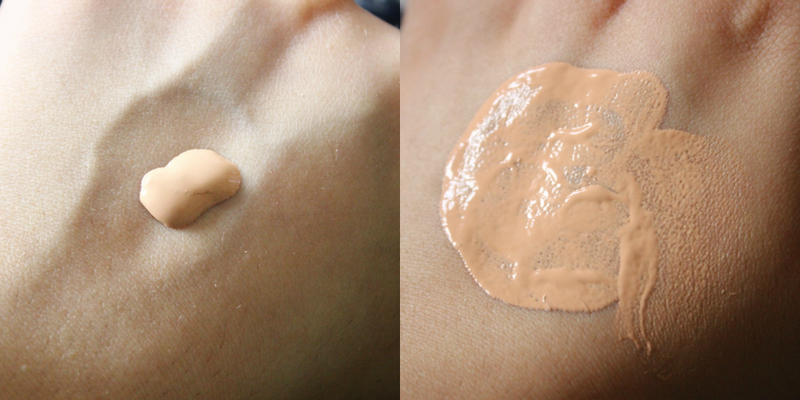 It looks almost invisible on the skin, blending in like a dream and it feels lightweight too. There are some bases in my collection that I’m on the fence about repurchasing, however this is one I will always have in my collection - it’s incredible and I cannot sing its praises enough!! I love that I can use this base with ease all year round - in the summer it stays put and in the winter it'll work just as well with my more dry skin during that season ^_^ I was a little even nervous to write a review in case I didn’t do it justice - yes I love it that much! Pros: Sleek packaging with a useful pump, light-medium coverage, satin-dewy finish, basically the ultimate glowy base without looking sweaty lol. Perfect no-makeup-makeup base, can also be built up to a medium coverage and then if you add concealer - bam you have the perfect base! So yeah very very versatile, long lasting, blends in beautifully, applies best with fingers so you don’t need to have a clean brush or sponge available, as the formula is so adaptable there is probably a shade for everyone - just don’t judge it by the colour of the bottle! Seems to work well on oily skin, dry skin and of course normal skin. Just makes my skin look incredible, not cakey, not powdery, not too dewy/shimmery - just youthful and like its glowing from within! Cons: Bottle means it’s not the best for travelling with like all other high end bases, theres a slight fragrance to it when first applied, must be shaken up. Have you tried this base? What is your HG foundation?